A study published in July showed that people have become less likely to remember things that they know are only a click away on the Internet. In other words, our selective memory has expanded to exclude things easily found via a web search. I interpret this revelation as meaning that people are selectively remembering the things that matter most to them in their everyday lives. All else are easily accessible, so why waste brain matter remembering them? Small example, I remember far less phone numbers than I used to thanks to my cloud-based contact list. I'll get back to why I started with an explanation of this study. When I venture into the land of memories and journey back into my school days, I can't help but wonder about what I've retained from all the things that K-12 public school taught me. I would say that 90% of what I learned was practically useless (not to mention how much of it was wrong). 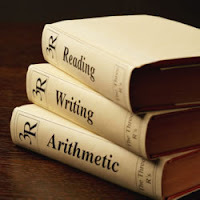 Reading, writing, and arithmetic have been the most useful, but throughout the course of my life in K-12, most of what I learned I've forgotten, and everything else is just a Google search away. Those things that have been the most useful I've taught myself. I test software for a living, but all of my computer experience was self-taught. I have a passion for Mormonism, economics, and libertarianism. All self-taught. Anything and everything can be found on the Internet. It has been the one indispensable tool in my self-education. It helped me find answers to my endless list of questions about Mormonism. It was through the Internet that I discovered economics and the Austrian School. It's through the Internet that I have engaged in a countless number of debates and discussions with a countless number of people, many of which I have never met in person, yet I consider them my friends. There has been a major paradigm shift in the world thanks to the Internet. Over the last decade, colleges and universities have begun offering their programs over the Internet. Virtual classrooms have been replacing the traditional classroom. Unfortunately, thanks to government intervention in education, tuition is still astronomically high, but I believe that the Internet is starting to force a major change. Enter Khan Academy and the University of the People. Khan Academy is a collection of over 2400 free instructional videos on subjects ranging from Algebra to Finance to Biology, and their database is growing. The University of the People is a virtual college devoted to tuition-free higher education. They currently offer Bachelor programs in Business Administration and Computer Science. What both institutions demonstrate is just how feasible it is to create and receive a quality education over the Internet. I predict that both institutions are just the beginning of yet another paradigm shift, this time in higher education. No longer would a professor need to spend countless hours lecturing students. He could simply record his lectures (or use others'), assign them as homework, and use classroom time, either traditional or virtual, for discussion. In other words, both teaching and learning are becoming more efficient. This brings me back to where I started. Apparently, we remember what we need to, and forget what can easily be found on the Internet. So why are we sending our kids to school and forcing them to learn things they don't need, and quite possibly what they don't care to learn? I believe that unschooling, from birth until death, is the education model of the 21st century and beyond. The Internet has grown to unthinkable heights. People no longer need traditional schools, public or private, to teach them someone's version of History, or Social Studies, Geography, and any other practically useless-in-our-everyday-lives subject. If we need to know something, we can find it in a matter of minutes. Let's instead help our children discover their talents and passions, and to develop them in a non-compulsory, safe environment. It's a new day. Times have indeed changed. Don't be left behind, and don't be left with a bad education and the unnecessary stress that K-12 education creates for both parent and child. Enter the 21st Century, the century of unschooling and free education. My wife and I are proud to say that we're unschoolers. We've borrowed some insight from another education model, TJEd, on the phases of learning, and will facilitate our kids interests, and mentor them along the way. It's an exciting day for all of us! Access to the internet depends upon access to the grid which, indirectly, depends upon government willingness to permit access to the grid. It might well be possible to "shut down the internet" or to prevent selected individuals, web hosts, ISPs and web sites from accessing the internet. I expect that Comcast, Verizon, AT&T and other internet facilities would obey government orders to that effect. The internet is not necessarily an agent of the social and economic change that you may envision. An article by Karen Kwiatkowski that ran concurrently with your post on Today's LRC (September 6)is well worth a read and may be more to the point. The kind of unschooling you describe, wonderful as it may be, may remain the provenance of an elite. On the other hand, if the great bulk of the American middle and working classes, looted and intimidated, should evolve into the new American peasantry lacking land, capital and access to many of the things we have access to now, unschooling, in a different form, may become more widespread as an impoverished people struggle to survive and find, of necessity, that the need to learn physical survival skills will be their primary education -- at which point government schools, lacking resources because the people no longer have much in the way resources to provide these schools, may, at that time, go out of business.